Simplicity is the ultimate sophistication – as Leonardo da Vinci said. I would apply these words to the CollageIt application too, a free version of the program cab be downloaded at the official CollageIt site . Since I mentioned the artist’s words, let’s make an artistic review of the program. The user interface is really nice and clear. You won’t get lost and actually one can see that the app developers have worked a lot on the visual counterpart of the application. Change the program skin (4 variants hide under File -> Skin). I chose the black one. Find the most needed functions duplicated by the appropriate buttons in the interface. Which is time-saving, I find. Moreover, the buttons are equipped with the icons, so there’s no way for visual preceptors to miss the necessary button. Skip the upper menu, since all the necessary functions are compactly arranged in the main editing window. As they say, the devil is in the detail. And the details hide under two tabs of the side panel, buttons that I’ve already mentioned, and links that we’ll discuss later. 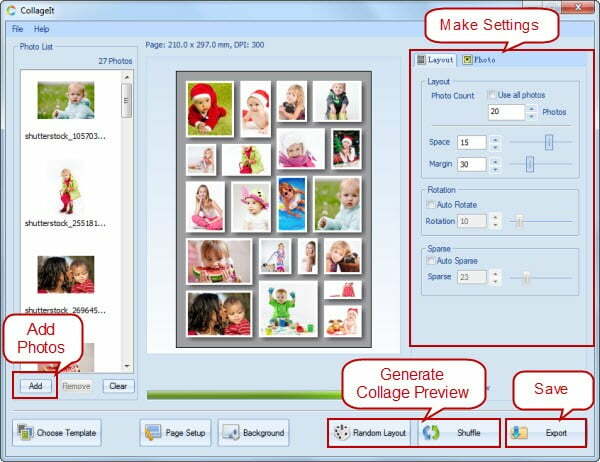 These are only some of the features that CollageIt offers. I recommend you to check them yourself. Number of sizes. This is what really impresses in the free CollageIt version! 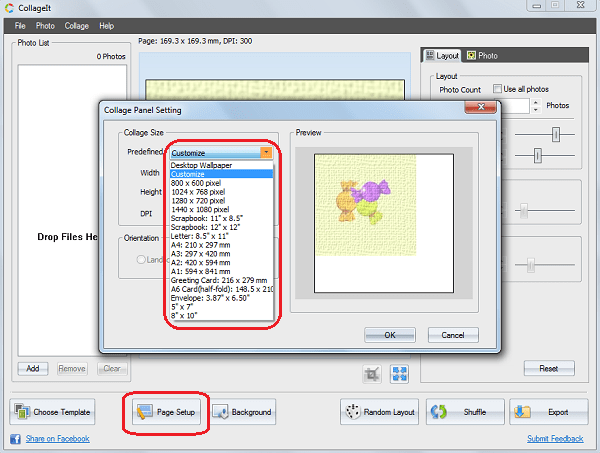 Click the Page Setup button, select the Collage Size group and expand the Customize drop-down menu. Welcome! You are also able to play with the background color and patterns. Just click on the Background button. I would like to draw your attention to the following fact – CollageIt is one of the speediest apps I have ever tested. 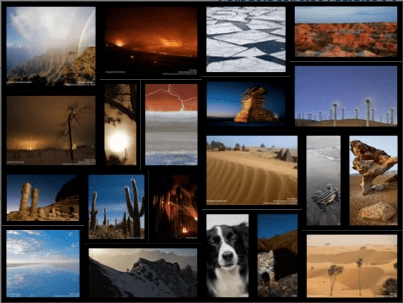 I changed the number of photos on the template and the template preview reflected the changes flash-like! What I also consider as the program plus is that the developers have published a series of tutorials on the website. And the last but not the least. 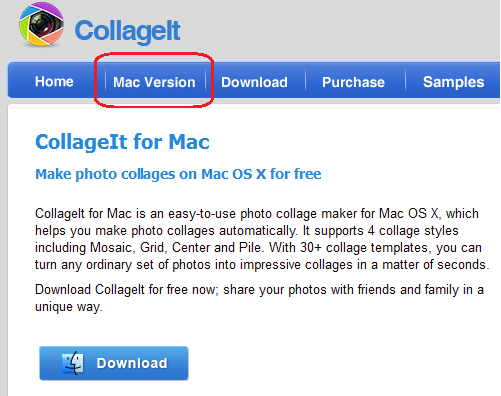 CollageIt has a Mac version! Which most of the free desktop image editor can’t boast. 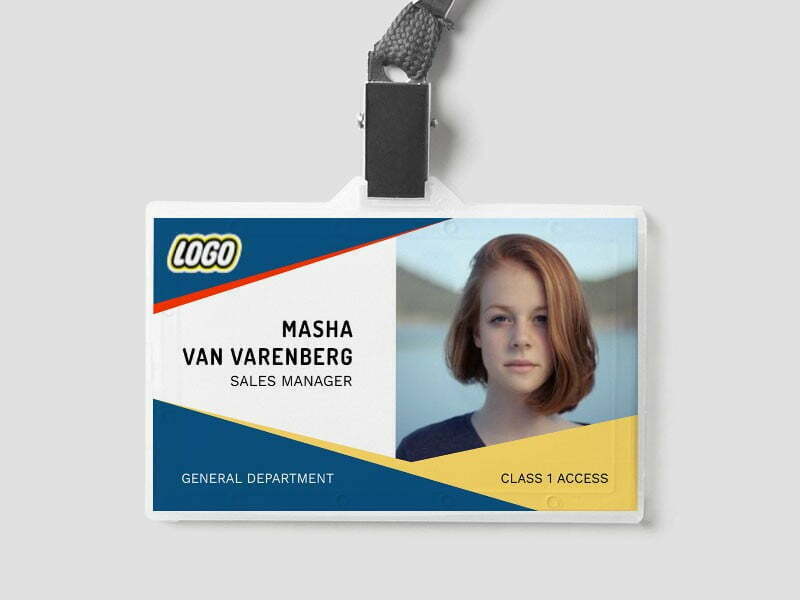 To tell the truth, most of the features that I mentioned above are the standard ones that any collage maker has. 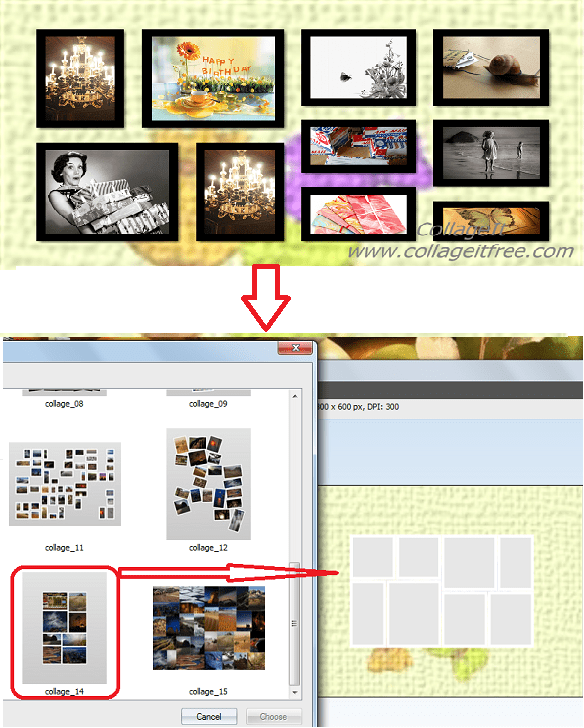 But CollageIt developers have managed to pack these features really nicely and I value it! Though, there is a fly in the ointment. The next paragraph is dedicated to it. Image editing features are almost absent. For example, there is no possibility to crop a picture or adjust an image inside the frame. The number of templates is also not enough. 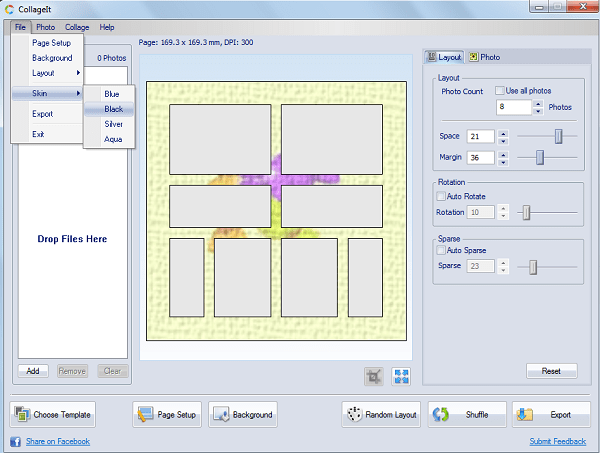 For reference, PhotoScape has over 100 page templates. I finished my work, closed the program and opened it the next day, chose another template… and got a template with the background and page orientation that I had chosen the previous day. Well, I didn’t like it. So, I feel confused. On the one hand, there's plenty of tools to make a masterpiece. On the other hand, there are several drawbacks that spoil everything. Still, I stay positive. Even with the free version, you can do a lot. 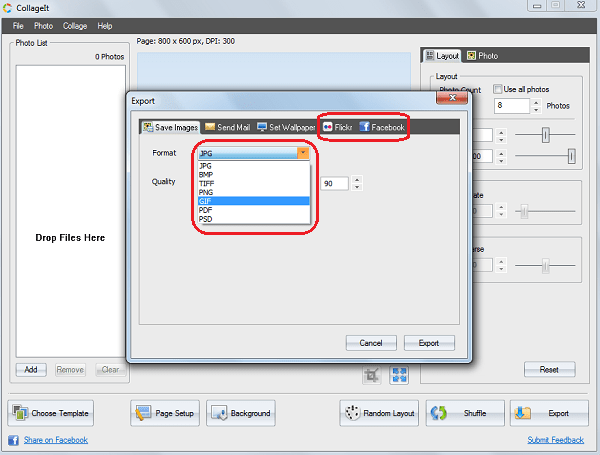 For example, export your artwork to your computer of share it on Facebook or Flickr roght from the program interface. And, yes, the appropriate links are placed in the main window.